Living amongst the smog of London is becoming increasingly detrimental which is why Boost Oxygen makes the ultimate Christmas gift. Breathing Boost Oxygen will not only protect you against the harmful effects of air pollution. It also boosts your collagen and energy levels, mental awareness, immune system and alleviates stress. Boost Oxygen has no artificial ingredients, caffeine or calories - making this an awesome present for anyone! 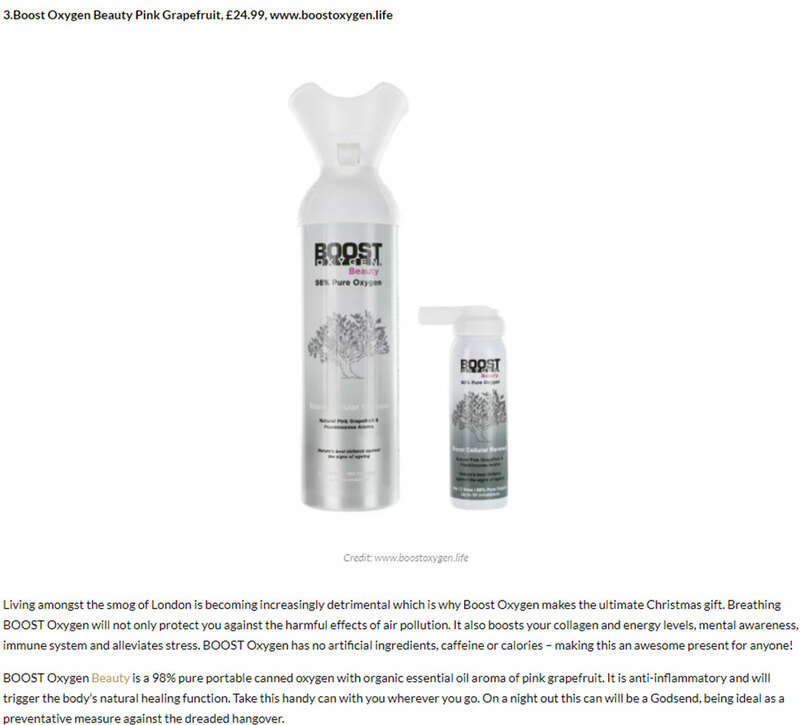 Boost Oxygen Beauty is a 98% pure portable canned oxygen with organic essential oil aroma of pink grapefruit. It is anti-inflammatory and will trigger the body's natural healing function. Take this handy can with you wherever you go. On a night out this can will be a Godsend, being ideal as a preventative measure against the dreaded hangover.